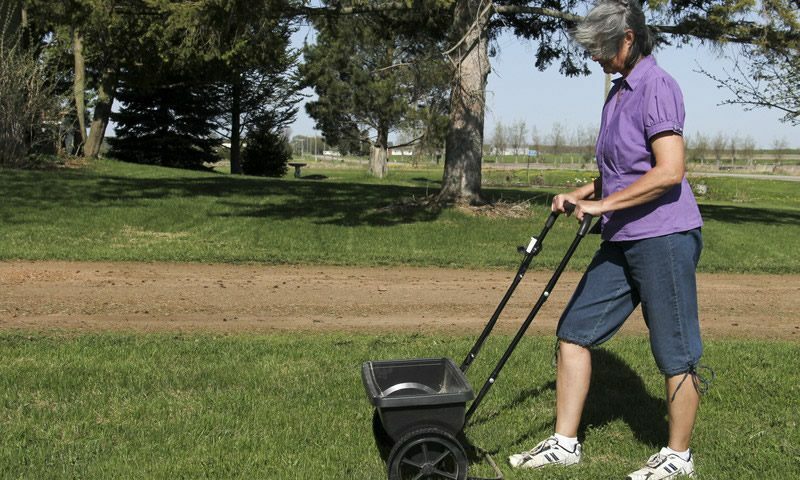 Fertilizing is one step to achieving a healthy and green lawn. However, not all homeowners have prior knowledge about the right way to fertilize, which usually leads to a not so healthy turf, weed infestation and even to diseases. Hence, it is a must to get at least a bit of knowledge on knowing the right and wrong way of fertilizing your lawn. Here are some common mistakes or wrong applications gardeners do, resulting in a dull and unhealthy lawn. Too much use of fertilizer is bad for your lawn’s health and for the environment. Excessive use can burn the roots of plants. On the other hand, too little use of fertilizer can similarly have an adverse effect on your plants. This is because your lawn cannot grow well without the needed soil mix. Another wrong application is using the wrong fertilizers. There is a variety of fertilizers that provide various nutrients to the soil and if you use the wrong one on your type of soil, it can actually be bad for plants. Now here are some effective and right applications to keep your garden well-maintained and healthy. You need to choose the right fertilizer. Your lawn requires nitrogen, potassium, and phosphorus in order to be vigorous. All these components are included in fertilizers and are represented by a 3 number arrangement with the first number being nitrogen, 2nd is phosphorus and 3rd is potassium. It is highly recommended that a fertilizer should contain nitrogen and potassium in a 2:1 ratio or in equal portions, with phosphorous in a small amount or close to zero. Proper fertilizer should also contain slow-release nitrogen to avoid wastage and fewer run-offs. Make sure to get your soil tested to know exactly its alkalinity, acidity and nutrient levels. Soils in Florida normally contain a high level of phosphorus. It means that you have to choose a fertilizer having less phosphorus so as not to overkill your plants. And if you are using recycled water, ask your local provider if the water contains phosphorus and nitrogen so that you can buy a fertilizer with a lesser amount of these nutrients. Buying the right amount of fertilizer for your lawn is the right way to keep it dynamic. Measure the size of your property and determine how many sq. feet of land you have. And, if your lawn is unevenly shaped, make a rough estimate or ask an expert to make the right calculations. Experts recommend the percentage of nitrogen divided by 100 from the bag of fertilizer to get the quantity of lbs. to apply for every 1000 sq.ft. Applying fertilizers is not just when you feel like it. There is a time for everything, including fertilizing your lawn. Apply fertilizer to your grass during its growing season. Fertilizing during dormant season is a waste of time. Feed your lawn during dry weather, but if you are expecting a heavy rainfall, flood, or hurricane, let it calm first before fertilizing. 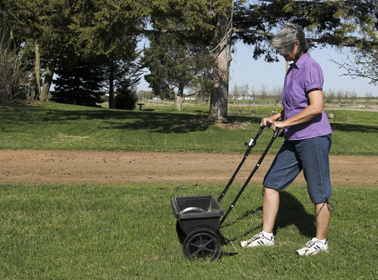 Apply the appropriate fertilizer using a walk behind spreader, and then water with one-fourth inch of water. However, do not extend the fertilizer within 10 ft. of lakes, streams or ponds. Proper fertilizing can be tricky until you understand just how it is done correctly. You may want to consult a lawn care professional about buying and applying fertilizer. Often, it is well worth hiring professionals to do the job of fertilizing your lawn to avoid costly mistakes and to enjoy a healthy, green, and lush lawn.